1 Megapixel Security Cameras are a great choice for customers upgrading to HD security cameras from analog cctv cameras, or for new customers purchasing for use at home, or for business. 1.3MP or 1 megapixel cameras provide 720p resolution video which has 50% more detail than standard definition analog cameras that have D1 or 960H resolution video. 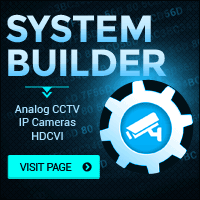 There are two types of 720P security cameras: HDCVI and IP network cameras. HDCVI cameras run over standard coax cable, while IP network cameras require CAT5e or CAT6 cabling. For customers looking for affordable cameras and without any networking knowledge, we recommend HDCVI security cameras as they are plug and play, require no configuration, and are very affordable.